Oh great bowl of pasta that shines like a buttery heaven. It glistens with abandon. Little sparks of sunlight cheese roam about the grainy goodness to add some depth. This is the secret; a smattering of micro-planed hard cheese. Oh, the sheer fun of holding the wedge tempered to the room. Having lost its chill, it fits in her hand like it was carved by an angel. The cheese sings in soft timbre against the grater. The dulcet tone of tap, tap, tap. She gently pushes the last bits of tendrils that remain attached to the metal, like a chad, but much more holy. Her fingers, lovingly filled with anticipation, release their grip. The hard cheese floats softly down, deftly finding its place on the awaiting deliciousness. Their tongues stand in anticipatory glee. They are on the precipice of joy. The scent of steamy sweet of flour, butter and cheese opens their hearts. Oh, the way it makes them feel; like all is well with the world. There is a unifying, cohesive awareness when you realize that many others, those of your cookery tribe, will intone the slurpy goodness as one. All revel, in the taste gently cascading down their throats like sweet nectar of the gods as it swirls around their mouths. It is like dining with the deities. 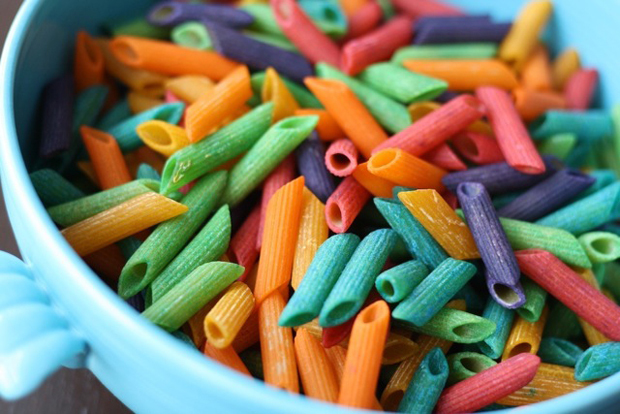 Pasta is the flour of fun, the laughter of the soul. So many search deeply to experience this joy. How they shine with fullness as the cheese and butter fills them with inner spirited glow. This is the ultimate concern of roving moment. The immediacy and the everlasting become entwined. They meet and all rest in this cosmic unfoldment of truth and eternal harmony. Their spirits join in the great trinity of their hearts. Their souls are now on the path of completion. They inhale the luxuriant fragrance, like a holy rose, they rumi-nate on life. They are at their highest in themselves and group. How abundant is the world in all things-flour, even those without gluten. How it holds the sauce and nurtures it toward one’s feelings of satiety and sureness of glycemic footstep. They become one with the breath of time. Oh, that glorious exhalation of the divine. This eatery of the repast they enter is one built of connection, joined commitment and path-work of the higher realms. This is not a place constrained by concrete and engineered plans. This is built this with intention, creativity and intuition. Pasta flour sets the gastronomic table. But when it is dredged into suffocating form, the welcoming sheen of our dishes dull and tablecloths droop. What true epicurean could like being boxed in rigid name and use? They tell you what to cook. They tell you how to cook it. They tell you with what you can eat it. They do not let you think. You are not allowed to create. Just follow the directions like it is the sacred writ of cookery: a doctrine of cartonology, if you will. All are constrained and held back from true sensual delight. Their foodie spirits are squashed. Enchantment and wonder cannot thrive because of obligation to strict adherence to the scribed words of recipe. They are a restraining package that directs the way to the pot and bowl like a blind horse that is pulled to water. Angel hair in a box? Talk about a no fly zone. Alphabet ‘noodles’ spell out “no escape”. What comes up in the spoon from the soupy lagoon is what you get to read. Ravioli is enclosed and has room for nothing else. It hides the truth of what is inside. It takes the unlit leap of faith to apprehend what it holds in its grip. Rotelle wheels turn but are burdened with the heft of the spokes of a doctrine hindered by false sense of savory correctness. As so many others, those who follow this way, sit in the same chairs around the same table as those before them, and eons before them. Their experience is predetermined, just as will be their futurelings. Oh, how restricting and flat. To use the same methods meal after meal is death to the soul. How can one truly feel the joy of eating when you are bound by the twines of the dogma of nourishment? The toppings, sliced and rasped with graters annealed with the bound generations of hard cheese; that solid and indigestible food made from milk, canon that declares the only way. So what is left for one to do? Is it best to gather ingredients with wild relish and abandon and to sing the glorious notes of savoring the unbound passion of pasta? Should one taste in pedantic chew after chew the ways that started it all? To adhere to the missives and memorandums of the ancestral gourmands, who perchance knew that flour, with its many possibilities, first has to be ground? Or perhaps, it is best to remember that life is just a gas. This entry was posted in Essay Thoughts and tagged new age, thoughts. Bookmark the permalink.